Cobra Sports Exhaust for Boxster S and Cayman S 987, Stainless Steel Performance System. Cash on collection preferred. Porsche Boxster & Cayman S 987 2.7L 3.2L 3.4L. Silicon Hoses (21). High Quality mandrel bent T-304 stainless steel Non polished. Oil Coolers & Hoses (42). CNC machined flanges for strong solid support. Porsche 911 996 Gen 2 Exhaust Tips . From 2004 gen 2 911 with 60k on it in good condition i also have 996 gen 2 rear bumper on another listing. Condition is Used. Dispatched with Royal Mail 2nd Class. This exhaust wa s takeno ff m y 20 10 P or sc he 9 87 generation II sp yd er a s Iw an te d a littlem or e gruntf ro m thec ar and so had a sportse xh au st fitted. O r fo r personalc ol le ct io n.
PORSCHE BOXSTER 986 2.5L 2.7L 3.2L Manual 1997-2004. Stainless Steel T-304 Exhaust. Mandrel bent T-304 stainless steel. Gain more performance due to more air flow. Buy more and Save more. Parcelforce Global Priority. Brand Rolling Gears Manufacturer Part Number HSJG-8100C Placement on Vehicle Left UPC Does not apply Country/Region of Manufacture Taiwan Exhaust Pipe/Tip Surface Black Mirror Polished Exhaust Pipes/Tips Material 304 Series Stainless Steel Outer Pipes/Tips Ring Diameter 120mm x 100mm (As same as stock Turbo S size) Inner Pipes/Tips Ring Diameter 85mm x 75mm (As same as stock Turbo S size) Fitment 1 2015-2017 Porsche Cayenne 958.2 (Type-92A) w/ V6 Engine Models Fitment 2 2015-2017 Porsche Cayenne /S E-Hybrid/Diesel w/ V6 Engine Models Fitment Attention Not Directly Fits on 15-17 Cayenne 958.2 V8 Models, Need Modify Install Notice 1 Just replace your original Pipes/Tips with ours Install Notice 2 Simply Fasten ours, No need to Weld. PORSCHE BOXSTER 1996-2004 2.5L 2.7L & 3.2L. Stainless Steel Exhaust Back Box. 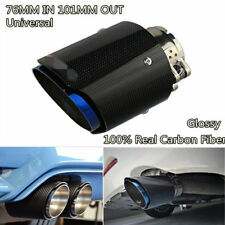 Fast Air Flow Design Combine with the Exhaust System Provides Instant Preformance Upgrade. Made with High Quality Stainless Steel with CNC Mandrel-Bent tubing- Gasket not Included. New Genuine Porsche 986 987 Boxster 996 997 Turbo GT3 GT2 Fuel Cap Petrol Cap. PORSCHE 911 996 3.4 3.6 1999-2004 NON TURBO. STAINLESS STEEL EXHAUST MANIFOLD. Mandrel Bent T304 Stainless Steel. Mandrel bent and fully TIG welded for strength and durability. 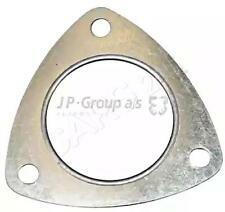 CNC machined flanged for strong,solid support. FITS: 1997-2004 PORSCHE BOXSTER 986 2.5 2.7 3.2. ware house in Australian, New Zealand, HK, USA and UK, our sales teams have professional knowledge of automotive parts, so our service is second to none. Please note- The sound on these silencers is an highly aggressive sports tone; very likely the loudest exhaust silencers for 996 Carrera on the market! Not for the faint of heart, you can hear the sound on the video's provided below. If you are interested in similar performance enhancements but not as loud an exhaust, we stock a milder tone pair of silencer for 996. This pair of powerful exhaust silencers are exclusively produced by Top Gear in the UK and are sure to add both performance gains and sound enhancement to your Porsche 911 996 Carrera. One of our fastest moving products, these silencers are affordable and easy to fit. The package includes a full fitting kit including joiner pipes and 4 stainless steel clamps. PORSCHE BOXSTER 986 2.5L 2.7L 3.2L 97-04. Stainless Steel T-304 Exhaust Manifold. Mandrel Bent T-304 Stainless Steel. Mandrel bent and fully TIG welded for strength and durability. CNC machined flanged for strong,solid support. This pair of powerful exhaust silencers are exclusively produced by Top Gear in the UK and are sure to add both performance gains and sound enhancement to your Porsche 911 996 Carrera. One of our fastest moving products, these silencers are affordable and easy to fit. The package includes a full fitting kit including joiner pipes and 4 stainless steel clamps. These silencers are a mild sports sound replacement for those looking to add some sound gain to the 996 Carrera without going to extremes. These mufflers fit all variants of 911 996 Carrera including Targa. Original tailpipes will fit onto these silencers. The sound on these silencers is a mild sports tone, not too loud or aggressive. Please see the video links below for an example of this product's sound. PORSCHE BOXSTER 1996-2004 2.5L 2.7L & 3.2L. Fast Air Flow Design Combine with the Exhaust manifold Provides Instant Preformance Upgrade. 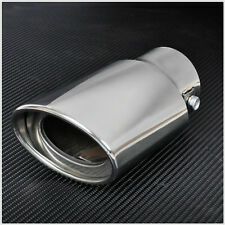 Stainless Steel T-304 Exhaust Downpipe. Made with High Quality Stainless Steel with CNC Mandrel-Bent tubing- Gasket not Included. This loud, aggressive sports/performance catback exhaust system for Porsche 987 Cayman & Boxster howls like a banshee at high revs with the valves open and generally produces the sound and performance expected of a car as prestigious as the 987. The system is suitable for passing tests such as UK MOT and comes with all gaskets and bolts needed to fit. This is a Topgear exclusive product with limited stock; order now to avoid disappointment. We have a similar, valved system, available for 987.2. Check out the awesome video's below, showcasing the product with both valves open and valves closed. High quality German made valves are utilised to create a seperate, chambered route for the exhaust gases. Macan Turbo. Fits Porsche 2014-18. This pair of powerful brushed finish silencers is sure to add both performance gains and sound enhancement to your Porsche 997 Carrera Generation 2 (aka PDK, Facelift). One of our fastest moving products, these valved silencers for 997 are key fob operated, allowing a driver to switch from a smoother note to opening the valves and releasing a loud, aggressive sports sound ideal for the open road at the quick press of a button. This valvetronic sports exhaust gives smooth 15Bhp/17 ft-lbs of torque to the wheels with the valves opened, 8HP/10 ft-lbs of torque to the wheels with the valves closed. This unique exhaust configures a dual-tone setup controlled by a key fob which you can switch on the fly. 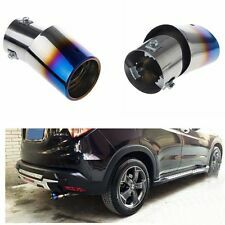 This is a high quality exhaust system for Porsche Cayenne Turbo. The item listed is a catback aftermarket exhaust system, mandrel bent and professionally TIG welded in order to provide a free-flowing system that adds both power and a distinct, sports sound to the car. The exhaust system includes a set of stainless steel tailpipes and includes all required gaskets and bolts required to fit onto the vehicle. This exhaust is designed for 4.8T but also fits Porsche Cayenne S 4.8 V8 and Porsche Cayenne Turbo S 2002-2010. The system is fully manufactured from 304 grade stainless steel and also features round tailpipes. The exhaust produces a throaty sports sound, greatly enhancing the sound of the OE exhaust for this fine SUV. This loud, aggressive sports/performance catback exhaust system for Porsche 981 Cayman & Boxster howls like a banshee at high revs with the valves open and generally produces the sound and performance expected of a car as prestigious as the 981. The system is suitable for passing tests such UK MOT and comes with all gaskets and bolts needed to fit. This is a Topgear exclusive product with limited stock; order now to avoid disappointment. We have a similar, valved system, available for 987. Check out the awesome video's below, showcasing the product with both valves open and valves closed. High quality German made valves are utilised to create a seperate, chambered route for the exhaust gases. This valvetronic sports exhaust gives smooth 15Bhp/17 ft-lbs of torque to the wheels with the valves opened, 8HP/10 ft-lbs of torque to the wheels with the valves closed. Rear Silencers Pair (Valved). Ideally coupled with our 45MM big bore headers, this is a performance header back exhaust system for the Porsche 911 997.1 Turbo. The piece consists of X-Pipe linked performance mufflers and high flow 200 Cell catalytic converters. The setup does not include tips but original tips will fit to this exhaust. The silencers in this exhaust are linked to one another, creating a greater balance between the two which improves flow, performance and provides an aggressive sports sound. It is an aftermarket, performance exhaust with a louder note and boasts significant power gains over OE due to a free-flowing, mandrel bent, TIG welded system. The cats are about as powerful as Topgear could get onto the Porsche 911 Turbo while still passing the MOT/emissions tests! Bore Diameter- 2.5 Inch (63.5MM) Tailpipe Diameter- 2. Milltek Sport Stainless Steel. Milltek Sport is the proven product! Milltek Sport exhausts are produced in high quality type 304 aircraft grade stainless steel. This material is anti-magnetic (other manufacturers stainless steel may not be) and is less susceptible to discolouration. Gain The Most BHP From Full Decat Exhaust System! Ideally coupled with our 45MM big bore manifold for the ultimate aftermarket package, this is a performance header back, valvetronic exhaust system for the Porsche 911 997 Turbo Gen 1 (2004-2008). This is a 3 Inch (76MM) bore system with 70MM tailpipes and therefore original tips will not fit to the exhaust. This powerful manifold back exhaust system provides a significant upgrade over OE (original equipment). The system is a high-performance exhaust solution for the Porsche 911 997 Turbo; with the great benefit of keyfob operated valves - allowing you to choose from a normal sports sound or an even louder, enhanced sound from your exhaust - just at the click of a button. This exhaust system is also known to produce performance gains of at least 20-25 HP over standard silencers and cats. This is a euro style brushed finish silencer bypass for the 911 997 Carrera II (both PDK and Manual). The X-Pipe design of the silencer bypass optimizes flows and boosts power gains as well as providing a higher pitched racing sound. This lightweight silencer bypass saves weight on your vehicle as well as increasing the power delivery. This part only fits 997 mk 2 (Gen 2) 997 Carrera (Non-Turbo). Video Link- https://www.youtube.com/watch?v=AHgIzmond4U. Milltek have over 30 years experience in performance exhaust manufacture and design. Milltek sports exhausts are manufactured from high quality type 304 aircraft grade stainless steel. The material is anti magnetic and is the best quality stainless available. 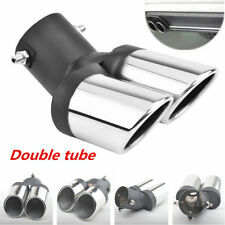 This is a high quality exhaust system for Porsche Panamera 4.8T and 4S variants (check compatibility list if unsure). The item listed is a catback aftermarket exhaust system, mandrel bent and professionally TIG welded in order to provide a free-flowing system that adds both power and a distinct, sports sound to the car. The exhaust system includes a set of stainless steel tailpipes and includes all required gaskets and bolts required to fit onto the vehicle. This exhaust is designed for 4.8T but also fits Porsche Panamera 4S. The system is fully manufactured from 304 grade stainless steel and also features round tailpipes. The exhaust produces a throaty sports sound, greatly enhancing the sound of the OE exhaust for this fine vehicle. SemiTwin Cut Tail Pipe. Stainless Tube & Pipe. Semi Twin Tail Pipes. Exhaust Fitting Kits. Exhaust Reducers/Connectors. Direct Fit Systems. Excludes Scottish Highlands, Islands and Northern Ireland. Our new automated system is active. Stainless steel, 38mm headers and j tubes to suit VW flat 4 motors. Will support circa 130hp. Will only suit Speedster Clinic cars, please check before buying. Discounted price to clear some space. Shipping available worldwide, please ask. Happy to do cash on collection. This has been removed from my own 991.1 GT3, this replaces the side mufflers / valved exhaust and turns the Akrapovic Slip On into the Akrapovic Sport Cup Exhaust System. The Akrapovic Sports Cup Line system is the second step in the exhaust tuning process. Semi Oval Tailpipes. BIG oval / semi oval tailpipes. Parking Reverse Sensors. Exhaust Fitting Kits. Exhaust Reducers/Connectors. Excludes Scottish Highlands, Islands and Northern Ireland. Direct Fit Systems. This is a premium quality, lifetime guaranteed, direct fit 100% stainless steel exhaust with valves for Porsche 911 991 Carrera, 1st generation (2011-2016). This is a valvetronic exhaust, meaning that has remote, vacuum controlled valves - allowing a switch between an aggressive, loud sports sound and a sports sound that is closer to the OEM sound. This is ideal for a switch between open road driving and needing to quieten down circumstantially for inner city driving. Best of all, if you don't want to use the key fob you can simply wire straight into your existing PSE. An absolute must for the 981. · Free Flow characteristics. · Mandrel Pipe Bends. · T304 Grade Stainless Steel. T304 Stainless Steel - Improves Power & Torque! This is a high quality exhaust system for Porsche Cayenne 3.2L variants (check compatibility list if unsure). The item listed is a catback aftermarket exhaust system, mandrel bent and professionally TIG welded in order to provide a free-flowing system that adds both power and a distinct, sports sound to the car. The exhaust system includes a set of stainless steel tailpipes and includes all required gaskets and bolts required to fit onto the vehicle. 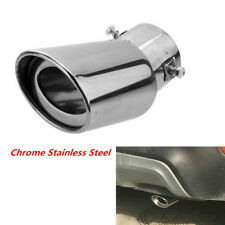 This exhaust is designed for 4.8T but also fits Porsche Cayenne 3.2L modelsm 2004-2006. The system is fully manufactured from 304 grade stainless steel and also features round tailpipes. The exhaust produces a throaty sports sound, greatly enhancing the sound of the OE exhaust for this fine SUV.